The Barr Foundation’s Barr Fellowship celebrates exceptional leaders, invests in them and their organizations, and cultivates a network of civic leaders committed to Greater Boston. Community Servings’ CEO David B. Waters was invited to join the Barr Fellows Class of 2017, recognizing his leadership and impact at Community Servings and within the Greater Boston community. In February, the Barr Fellows Class of 2017 took a ten-day group trip to Rwanda. The Learning Journey is designed to immerse fellows in a collective, challenging growth experience, build relationship among Fellows, and offer inspiration through exchanges with leaders working to improve lives in another country. While abroad, David shared his experiences with Community Servings staff through email. Read more about his experience in Rwanda below! 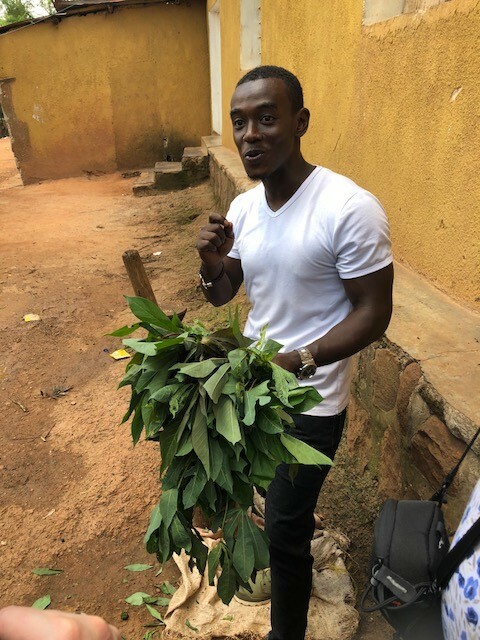 While in Rwanda, David learned a lot about cassava and the ways Rwandans incorporate various parts of this shrub into their diets. Cassava is a staple food crop in Rwanda, ranking third after sweet potatoes and bananas. Their guide, Jadot (pictured), explained that women beat the cassava leaves for hours to tenderize them before grinding them into a pesto-like sauce in a mortar and pestle with onions, peanut oil, and spices. Because of the effort that’s put into making this sauce, it’s only enjoyed every few weeks. its edible starchy roots, a major source of carbohydrates. 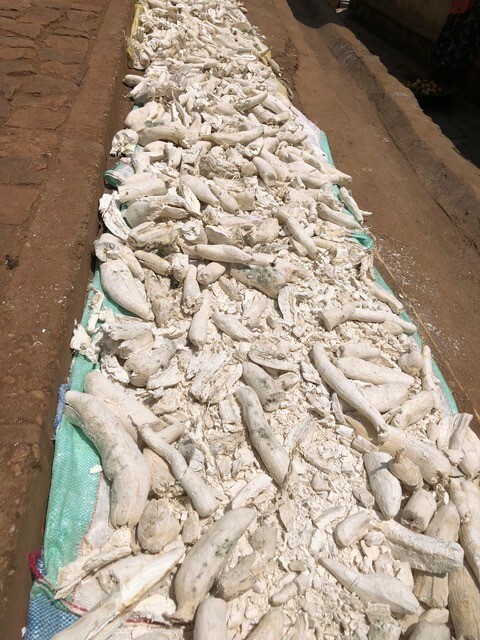 Because cassava roots contain cyanide, Rwandans soak the root in water for a week and then dry it in the sun to bleach out the poison. It’s then ground into flour and baked into breads, or mixed with water and salt and made into a polenta-like dish. David said this particular dish is eaten with your hands and dipped into a sauce. It’s a filling dish, so it’s good to eat when other foods are scarce.